Kia’s Sportage and Sorento television ads in Australia feel like classic ‘feel good’ ads. In this post we feature Ends of the Earth (Giant), Key Toss, Books (Amanti) and Clockwatchers, developed at BWM Sydney. 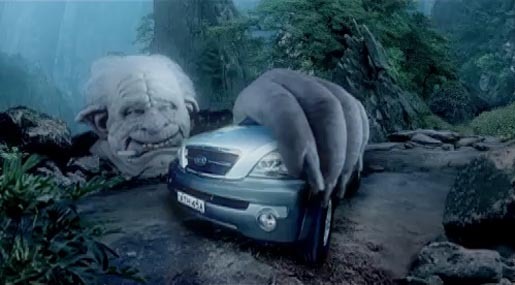 The Kia Giant campaign was developed at BWM, Sydney, by Mike Boswell, Adam Hunt, Maureen McCabe, Lisa McLeod and Simon Frost. Filming was shot by Simon Frost via Plaza Films, Sydney, with producer Neal Kingston. The music’s by Goat, also known as Andy Rosen, from the album “Great Life” and was also used in the soundtrack to “I know what you did last summer”. Thanks Greg for the note. Also see Citycynic’s post. Great Life – GoatDownload the Goat Great Life music track from iTunes.